Contact: Melody Soto on + 1 (646) 415-7907 or Brendan Wynne at media@donordirectaction.org or +35383 8248732. Suheyra Qorane Farah and her sister Zamzam underwent female genital mutilation (FGM) on August 29th. The procedure took place in their home in Tuurdibi, a small village in Puntland, Somalia, near the border of Ethiopia. They bled profusely and within a week both had fallen into a coma. At this point they were brought to hospital in nearby Galdogob. Zamzam’s condition improved, but Suheyra’s worsened. She was diagnosed with tetanus and died on September 17th. This is the third confirmed death of a girl caused by FGM in the Puntland region in less than a week and follows sisters Aasiyo Farah Abdi Warsame, 10, and Khadijo Farah Abdi Warsame, 11, who died on September 11th after bleeding non stop for 24 hours. They were cut just across the Ethiopian border where FGM has been illegal since 2004. In late July, following the death of yet another girl, Deeqa Dahir Nuur, 10, the Somali federal government stated that it would bring the first ever FGM prosecution in the country. It is unclear it has done anything since. Although related laws exist on child protection, FGM is not specifically illegal in Somalia. Bans have been drafted at both regional level in the semi-autonomous state of Puntland and at federal level. 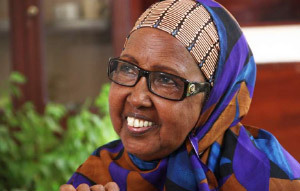 Hawa Aden Mohamed, who founded the Galkayo Center, is herself a survivor of FGM. Her own sister died after undergoing it. The Galkayo Center provides education to girls and has often undertaken emergency interventions to help girls cut from FGM who are in urgent need of medical attention. FGM involves the partial or total removal of the external female genitalia for non-medical reasons. According to UNICEF it has affected at least 200 million women globally and Somalia has the highest prevalence of FGM in the world at 98%.